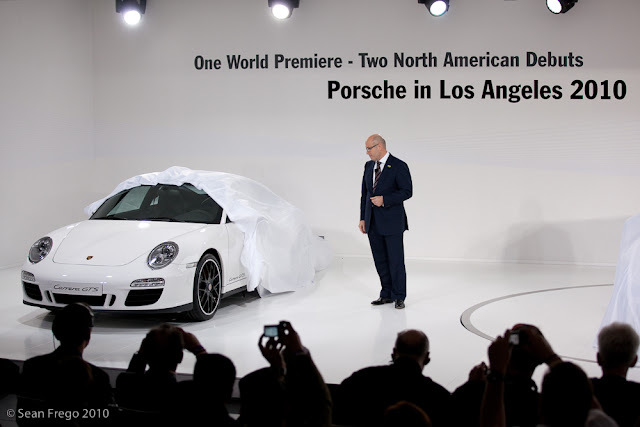 I have a whole Porsche gallery coming but until then please enjoy the unveils. UPDATE: Please enjoy the gallery >>>>here or continue for the unveil shots. 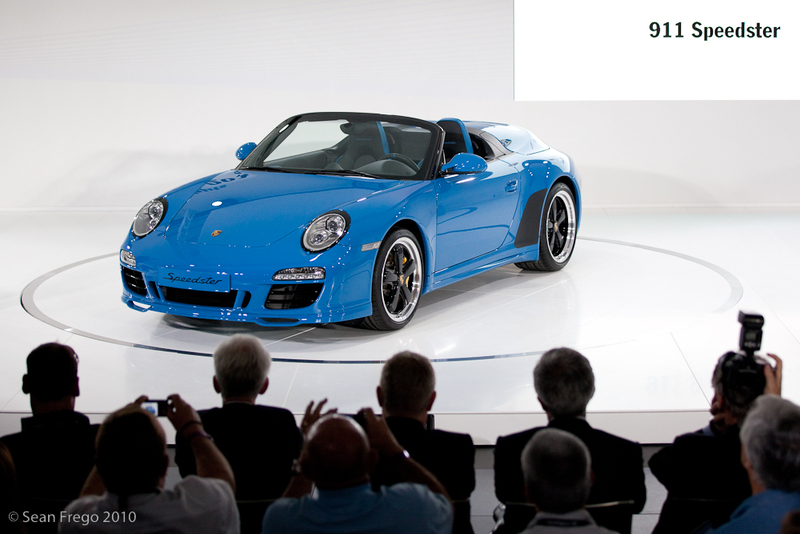 The limited edition Speedster. One of 356. 100 will come to the US. It's the 70's, you can tell by her disco hat. I think this was the 90's. 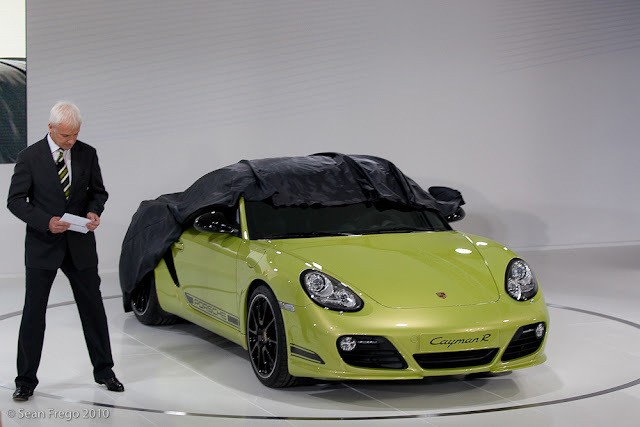 Finally the Cayman R is unveiled. Woo hoo. Being an auto buff yourself Sean, I bet you know why they chose to make only 356 of the Speedster, right? For those who aren't really into Porsche, the original body-type designation was, yep, you guessed it, 356. Great photos of the show. I really enjoy your commentaries.